​Pro Earth specializes in the design and installation of custom residential and commercial landscapes. Our expertise is fortified by over 40 years of experience creating beautiful environments throughout San Diego County. Transforming your outdoor living space is more than a job for us; it is a passion and lifelong commitment to creating superior enhancements to your property. Each project is a well thought-out connection of outdoor elements and environment to create the perfect landscape for you. Our success is based on using our vast experience to transform your landscape into a personal living paradise. Our name is based on our belief that the natural beauty of the earth can become part of your home environment, we promote the use of all natures’ elements to enhance the beauty of your landscape. Pro Earth employs in-house crews; we construct and install all facets of the project. Including, drainage, irrigation, gas/electrical lines, masonry, fireplaces, fire pits, outdoor living areas, decks, patio structures, water features, low voltage lighting, trees and plants. We are competent and experienced with all requirements for Home Owner Associations plan submittals as well as City/County Permitting and Inspections. In addition, our commitment to developing outstanding solutions for our client’s needs have also rewarded our efforts with numerous awards. We are honored to have received consecutive awards from the CLCA (California Landscape Contractors Association). Call us today for a no-obligation preliminary meeting to see what we can do for you. Vern's passion is creating beautiful landscapes. He creates, designs and prepares the proposals and oversees all projects from start to finish. He assists the clients in all material selections and design changes. He manages the supervisors to ensure that the on-site crews are scheduled properly during the construction phase. 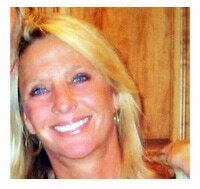 As the co-owner of Pro Earth Landscape, Robin brings over 25 years of experience in multiple aspects of business. Her background includes office management with several homebuilders, customer service and real estate sales. Robin is involved in the daily operations of Pro Earth; overseeing all contracts, billings, financials, and submittal of permits for city and applicable homeowners associations. Hector has been with Pro Earth since 1999. 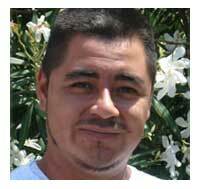 He manages our masonry and landscape crews. 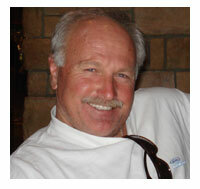 He has extensive experience in the landscape/hardscape industry. He is a superior supervisor and works side by side with his crews to insure the upmost quality. Vern and Hector work closely together on the design and execution for a smoothly run project.